The group is searching for supplies. They can’t find food or water. Washington is still more than 60 miles away. They find one car but it soon runs out of gas. It seems they’re walking most of way. Emotions are high, the group is stressed out. Daryl doesn’t want talk about losing Beth. Maggie reveals she lost her faith and she doesn’t walk to talk about losing Hershell or Beth. She criticizes Gabriel for leaving his flock to die. Carol talks to Daryl about Beth. She tells Daryl she saved both of their lives. She gives Daryl Beth’s knife and tells him it’s ok to feel. The group is soon attacked by a group of walkers. The original plan is just to push them over a bridge. Sasha loses her temper and attacks. The group has no choice but to help her. Sasha cuts Abraham with her knife while killing a walker. Michonne tells her to stop. They continue to a group of abandoned cars. In one of the trunks, Maggie finds a female walker, bound and gagged. She can’t bring herself to kill it. It could be seeing that the woman is bound and gagged, she feels sorry for what happened to the walker. Glenn comes to her and kills the walker. During a rest break, a group of wild dogs appear. Before they can attack, Sasha takes them out with her sniper rifle. The group now has something to eat. 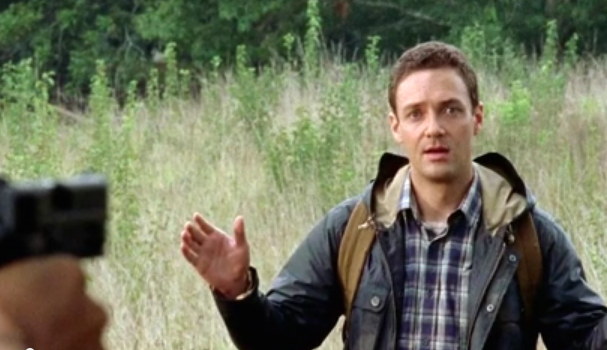 Noah confides in Sasha that even though Tyreese saved his life, he doesn’t think he’ll survive. Maggie also confides in Glenn that seeing Beth dead wasn’t real. After losing Hershell, Maggie needed hope. Losing Beth destroyed any hope she had left. Abraham assures Sasha she’s safe, she’s with friends. 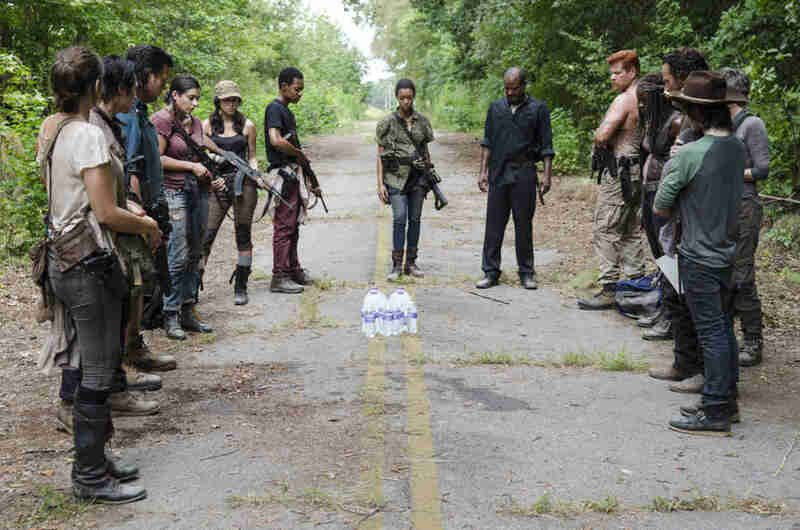 Glenn is trying to rally everyone together by telling they can survive if they stick together. The group continues their trip and comes across some bottled water with a note ‘From A Friend.’ They’re hesitant to take it fearing a trap. They’re low on supplies and this gift seems like a mircale. But it also could be a trap. Who left it out here and why? Eugene decides to be the first one to drink the water. Abraham slaps the bottle out of his hand. Rick tells the group it’s too risky. Later that night, a horde of walkers descend upon the barn. The group stands together and holds the doors close. The storm gets worse throughout the night. However, they survive to see the next day. Sasha and Maggie leave the barn to discover several tress fell and pinned the walkers to the ground. Sasha and Maggie take a moment to enjoy the sunset. Sasha and Maggie both realize they’ll be okay. The moment is interrupted when a stranger, Aaron, appears. He assures them he’s an ally and wants to talk to Rick. He promises good news. This wasn’t the most action packed episode. I think the emphasis was mainly on emotions. Each of the survivors are trying to deal with the loss in their own way. Sasha is like Tyreese in which she wants to kill not feel. Maggie had so many feelings bottled up, they’re now spilling out. Eugene feels so guilty about lying he’s willing to sacrifice his life for the rest of the group. Rick is trying his best to keep the group together. I have a feeling there’s another dangerous group of humans out there. Last episode, it appeared someone broke into Noah’s house. This episode we saw a woman who was bound, gagged and left to die in the trunk of a car. I wonder if these are random acts or hints at next season’s villain. I wonder if the water was actually poisoned. And finally, who is this Aaron guy? Is he an ally to the group or the next threat? Readers, what are your thoughts on this episode? What do you predict what’ll happen during the rest of this season?